A “Product” is the simple label used by Z-Stream to indicate your actual product. It includes the breadth of functionality that is expected to be implemented on it and its delivery to a client or end user. In the second tab, “Team,” you’ll move on to the creation and editing process. This tab includes the members of your team and what role each of them will have in the product development process. Remember, the roles assigned to each team member will help define both what they need to accomplish as part of product development and what parts of the Z-Stream project management plan they’re able to interact with. Any product consists of phases of its development called releases—that is, the specific milestones throughout the product development process. To create a release, either go to the newly created product or go to the Releases tab. Click ‘Create a Release.” A new window will open. Select Product and name the release. Then, add a description and specify the time interval in which the release should be finished. With this strategy, you can easily set up a timeline for your entire project. Sprints are limited time periods in which scheduled amounts of work need to be completed. Sprints are an excellent way to meet solid product development goals, especially if you’re on a tight deadline. Every sprint includes a series of tasks that must be completed within a specific time period. To create a sprint, go to either the Sprint tab or the newly created release. Click, “Create Sprint.” When the window opens, select Product and Release. Name the Sprint, then specify the time period of the release. You can create several sprints for each individual project at the same time. This is an excellent strategic project management tool, since it will allow you to effectively schedule your project long­term. Sprints can be managed as needed as the project progresses, allowing you an agile project development tool that will easily integrate with your existing plans. 2) Go into the Tasks tab. Select “Create Task,” then fill in the required fields. Each of these items will allow you to customize the task, ensuring that all of the information necessary to complete the task is available right there in your project management tool. That’s it! 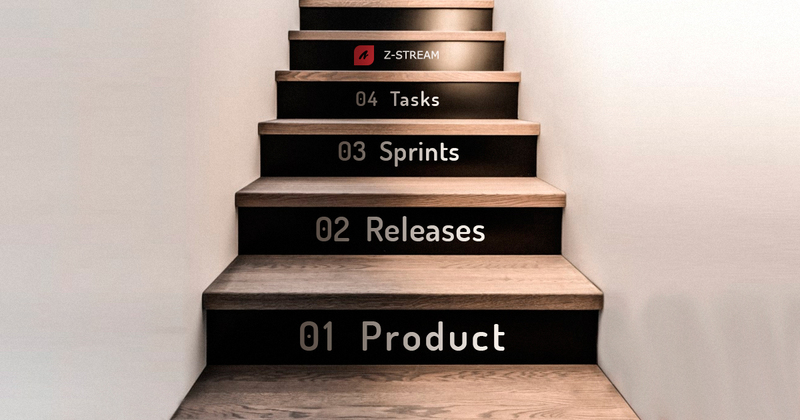 With Z-Stream, creating and managing your projects has never been easier. This simple strategy makes it a snap to create your Products, manage Releases, and take care of all of the details involved in agile project management.